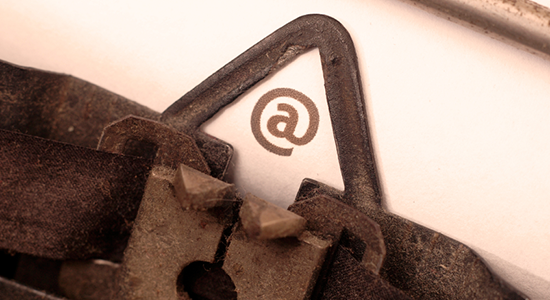 Home » Blog » Pop Quiz: Do you Know These 14 Email Marketing Terms? Pop Quiz: Do you Know These 14 Email Marketing Terms? Recently we explored Things to Consider When Selecting an Email Solution for your Organization. Today we’ll dig a bit deeper into email marketing terminology. Understanding and appraising an Email Service Provider (ESP) can be a daunting exercise. Not only are there dozens of providers in the marketplace today, there is also a whole vocabulary of terms that you need to be familiar with before you can accurately compare providers and get the most out of the platform you choose to adopt. Making matters worse, providers aren’t 100% consistent with how and where they use very similar terms. The most important thing I have found to be true when having to compare systems is that there are often many small details that you need to tease out of testing and reading documentation to get a full understanding of exactly how a particular piece of functionality works. Take the term “template” for example. It can mean anything from a very bare-bones notion of layout, to a nearly finished design complete with logo, fonts, link colors, and even some content. There are many variations therein as well. Subscriber – A subscriber is a person who is on one or more of your mailing lists. In most ESP systems, the only requirement to be a subscriber is to have an email address. You don’t have to even know the person’s name or anything else about them to add them to your list. List – The notion of the email “list” is sometimes a slippery term. Clearly if someone signs up on your website for your newsletter, then they are on that list and the subscriber is aware of the fact. But what about a targeted donor appeal email? Your ESP will usually consider that to be a “list” in terms of how you select your recipients (and in some cases how you are being billed) but the subscriber probably doesn’t think of themselves as being on your “Year End LYBUNT re-acquisition mailing list”. Lists, segments of lists, Salesforce campaigns, and reports have a lot of overlap depending on the context they are being used in. Opt-In – The act of someone deciding to join your email list. Most ESPs are “permission based” meaning that they require you to have some kind of explicit permission from the recipient to start sending them mail. Unsubscribe – The act of removing yourself from a mailing list, sometimes called an “opt-out”. With some ESPs, an unsubscribe is considered a global unsubscribe. This means that no matter what other lists a person might be on, if they unsubscribe from one of them, they will be taken off of all of them. Bounce – A bounce is an email that could not be delivered to a subscriber. There can be many reasons for this. A Hard Bounce is a permanent failure to deliver usually because the email address does not exist, or the mail server has blocked delivery entirely. A Soft Bounce on the other hand can occur when the email is legitimate, but the recipient’s mailbox is full, the email is too large, or there was a temporary issue with the mail server. Many ESPs will try to deliver a Soft Bounce several times before considering the email address to be bad and therefore a Hard Bounce. Open Rate – Simply the number of times an email was opened divided by the total number delivered. Open rates can be inaccurate due to the myriad ways that email systems count something as an open. For more about how open rates work, read this article from Campaign Monitor. Click Through – A click through is a count of the number of links that have been clicked on in an email. The number can sometime mean the total aggregate number or the total unique number per subscriber. Pay close attention to how Click Through Rate is calculated. Sometimes it is given as # of clicks per emails delivered or # of clicks per opens. Segmentation – Segmentation is a powerful way of targeting subscribers, performing testing, and improving your engagement with your audience. There are a wide range of tools available for segmentation both within your CRM and your ESP. Segmentation can be about grouping your contacts based on certain attributes such as City, Type of Membership, or donation history. It can also be done based on behaviors such as whether or not they’ve opened your last email. Drip Campaign – A drip campaign is an automated series of emails which a person will receive on a set schedule based on when they take a certain action such as becoming a member or contacting a legislator in an action campaign. They are usually set up to allow for “rolling enrollment” meaning people can be at different stages at different times within the campaign. Template – A template can mean many different things depending on the ESP you use. Many come with a template library which is a set of pre-formatted email layouts that can be customized to varying degrees. They can also be a custom design of your own or even copies of fully fleshed emails. In most cases though, they are meant to be some kind of base starting point for designing an email with fresh content each time. Transactional Email – Transactional emails are things like event registration confirmations, receipts, password reset emails and so forth. They aren’t sent to you because you are on any kind of list, they are a response to some kind of online transaction. Most email going out through an ESP is considered to be Marketing Emails as defined by the CAN-SPAM act. A few ESPs though do offer Transactional Email services such as ExactTarget or Mandrill. You might consider exploring Transactional Email if your organization provides a major online service of some kind. Autoresponder – Sometimes called a triggered email, this is a message sent to someone in response to an action they’ve performed, such as signing up for your email list or making a donation. Most ESPs provide simple tools in this regard and a few offer very sophisticated functionality allowing you to email people in response to all kinds of actions or even changes within your CRM. Marketing Automation – This is the Cadillac of email marketing. Most small to mid sized organizations create, target, and send emails manually one at a time. In more complex scenarios, you may need to automate some or all of your email marketing because you have many, many business processes to cover. Marketing Automation requires that you have very well defined rules for everything you do and often takes considerable effort up front to correctly dial in the behavior of the automation. However, once it’s set up it can run on its own and allow your organization to deliver very targeted, personalized messages in a timely manner. Dynamic Content – Some of the higher end ESPs allow you to tailor the content of your email based on attributes or behaviors recorded in your CRM, all within the same email campaign. Dynamic content is a powerful way to personalize content for particular audiences without having to queue up and send multiple emails. What other phrases have you come across through your work in email marketing? Sam has ten years experience in nonprofit consulting, including project management on website and CRM projects. He specializes in Salesforce administration, data analysis, email marketing, and end user training. He resides in Seattle, Washington. A/B Testing: Sending out two versions of an email that are almost exactly the same, except for one variant that is designed to track changes in recipients’ behavior. Such as, does the email perform better if the Donate Now button is red or green? Heat Map: this is a term that is used a lot of different ways in the world, but in looking at email marketing, some ESPs will show you a geographical location index of where your emails are opened on a map – depending on your service, you may only get country and state, but some will show localities at a more granular level. Just be aware that some ISP’s report activity in a regional fashion, so that results will have a varying degree of accuracy at times.